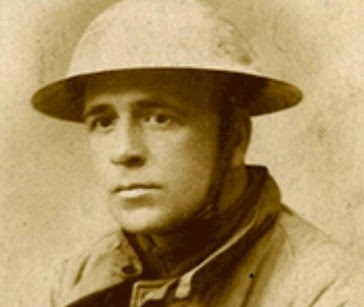 As a member of the Black Watch’s 4th Battalion during the Great War, Joseph Johnston Lee spent time not only living and fighting in the trenches, but also as a German prisoner of war in 1917. Incredibly, the Dundonian channelled the experience into his literary and artistic passions, writing poems and drawing sketches of the wretched time to send home. He is often referred to as Scotland’s forgotten poet, but in his day he was widely regarded as one of the best in the world. Tomorrow evening sees the launch of a new edition of Lee’s poems. Held as part of the Dundee Literary Festival, the evening will include a biographical and critical introduction and readings of his poetry. The event starts at 7.30pm tomorrow in the Bonar Hall and is free but ticketed – get your tickets by following the links here. The programme for the 2012 Dundee Literary Festival is now available at www.literarydundee.co.uk. It takes place between 24th and 28th October at the Bonar Hall. Whether you’re a political junkie who wants to hear behind the scenes tales from Nick Robinson of the BBC or Jeremy Bowen of ITV, a literature fan who wants to hear Liz Lochhead and Bernard MacLaverty, James Meek, Alan Warner. There’s non-fiction from Max Benitez, Mark Beaumont, Andy Coogan and Doug Allan. There’s loads for the kids too – Sally Magnusson, Joan Lennon and Lari Don. Don’t miss it! 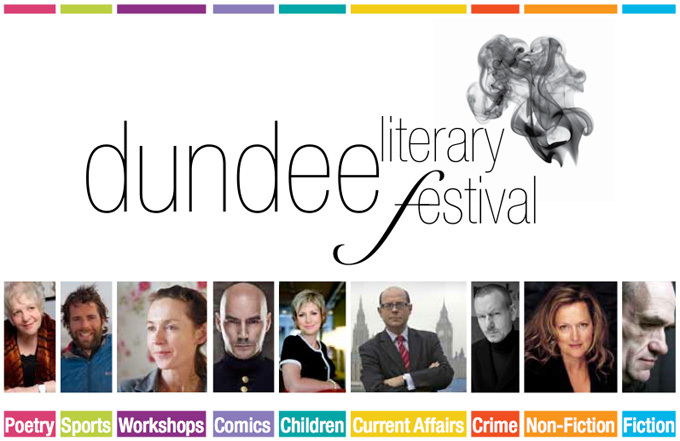 Dundee Literary Festival – this week! Details of this week’s Dundee Literary Festival! Dundee Literary Festival this week! Come and meet the award winning actor David Rintoul, discussing his time as the good doctor. Book online – www.literarydundee.co.uk or at the Overgate or DCA. Brian Johnstone – until recently Director of the STANza festival in St Andrews – comes across the river to read from his latest poetry collection, The Book of Belongings. The volume reads like an archaeology of the lost, its pages carefully uncovering and observing what has vanished, died or been abandoned. Visiting former theatres of war, remote landscapes of Scotland, France and Greece, pre-war classrooms and the nightmares of childhood, these poems are not afraid to gaze long and hard at what has been deliberately concealed, erased, or dismissed as worthless – the past with all its demons, its sad domestic litanies. With the publication of a new omnibus edition of Dr Finlay’s Casebook and Adventures with a Black Bag, and a new biography of A.J. Cronin, Dundee Literary Festival is proud to present a celebration of Scotland’s most famous doctor. With readings from master-actor, David Rintoul, who played Finlay in the hugely successful TV series of the 1990s and discussion with Alan Davies, author of A.J. Cronin, the Man who created Dr Finlay, we remember the quality of the writing, the characterisation and the wry humour of the central figure, Dr Cameron and Janet. Welcome back to Arden House. James Robertson, Blairgowrie based author, has produced a sweeping epic story, charting the changes in Scottish life – personal and political – during the second half of the 20th century. An ambitious, enthralling and incredibly absorbing novel that has won acclaim and hit the best seller lists. James Robertson’s previous books have won the Saltire Prize and the Scottish Arts Council Book of the Year, while the bestselling The Testament of Gideon Mack was picked by Richard & Judy’s Book Club. Michael Pendreich is curating an exhibition of photographs by his late, celebrated father Angus for the National Gallery of Photography in Edinburgh. The show will cover fifty years of Scottish life but, as he arranges the images and writes his catalogue essay, what story is Michael really trying to tell: his father’s, his own or that of Scotland itself? And what of the stories of the individuals captured by Angus Pendreich’s lens over all those decades? The homeless wanderer collecting pebbles; the Second World War veteran and the Asian shopkeeper, fighting to make better lives for their families; the Conservative MP with a secret passion, and his drop-out sister, vengeful against class privilege; the alcoholic intelligence officer betrayed on all sides, not least by his own inadequacy; the activists fighting for Scottish Home Rule – all have their own tales to tell. Tracing the intertwined lives of an unforgettable cast of characters, James Robertson’s new novel is a searching journey into the heart of a country of high hopes and unfulfilled dreams, private compromises and hidden agendas. Brilliantly blending the personal and the political, And The Land Stay Still sweeps away the dust and grime of the postwar years to reveal a rich mosaic of 20th-century Scottish life. Norman Watson, local author and journalist, has written the definitive biography of the world’s worst poet, William McGonagall, is the remarkable, revealing and compelling story of a one-time Dundee weaver who continues to fascinate the world beyond Scotland a century after his passing. Award-winning author Norman Watson’s insightful pen pulls back the curtain on the life of the self-styled ‘tragedian and poet’ in an important, absorbing and hugely entertaining biography which will appeal to McGonagall fans and general readers alike. William McGonagall is a literary legend and one of the best known names in the printed world. His disjointed verse has been popularised by the Goons, Pythons and Muppets, Spike Milligan, Peter Sellers, JK Rowling, Terry Pratchett and Philip Pullman. He is on film and in reference books. His portrait hangs in galleries. There are McGonagall societies and dinners, ceremonial plaques and websites. Yet we do not know where William McGonagall was born, where he was brought up or, indeed, where exactly he is buried. We do not know if the world’s worst poet was Scots or Irish. No one has unpicked his first fifty years before he poured out formulaic rhymes on tragedies, victories, heroic deeds, nobility, clergy and gentry. We do not know how many poems he wrote or pamphlets of unappreciated verse he published. McGonagall has largely escaped the biographer’s pen and no adequate appraisal of his life has been attempted – until now. This definitive biography of the world’s worst poet is the remarkable, revealing and compelling story of a one-time Dundee weaver who continues to fascinate the world beyond Scotland a century after his passing. Award-winning author Norman Watson’s insightful pen pulls back the curtain on the life of the self-styled ‘tragedian and poet’ in an important, absorbing and hugely entertaining biography which will appeal to McGonagall fans and general readers alike.